The lovely Aubrey from Real Housemoms has MUCH to be excited about this month - YAY for February birthdays AND oodles of Facebook love….200,000 followers to be exact! Several incredible bloggers have teamed up to help her paint the town red and celebrate this super happy occasion with some pretty stellar prizes. Because what's a celebration without prizes? How does a Canon E0S Rebel T3 or an iPad Mini sound? Two lucky winners will have the chance to win one of these fabulous treats. However, you gotta be in it to win it, so enter the Rafflecopter below for your chance to win one of these super fabulous prizes. Giveaway runs until February 27th at midnight. 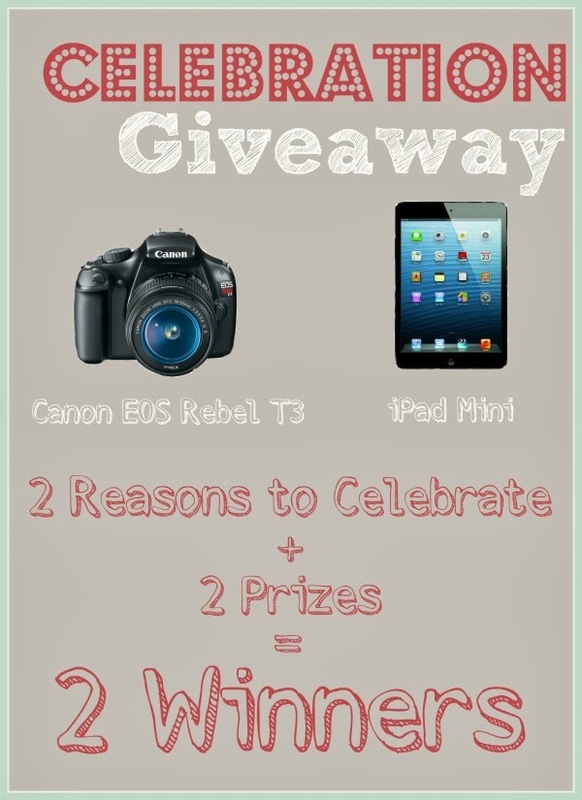 Seriously awesome giveaway! I wish I could do that for my birthday coming up in 2 weeks! LOL! I could use a better camera... ;) Thank you guys for the opportunity and happy birthday Aubrey! I like to celebrate with a great dinner out. I like to celebrate with my all of my family with a good home cooked meal. Fresh baked pie is a must for dessert. I like to celebrate with people I love and good food! I like to celebrate with lots of good food! i like to celebrate with family, good friends, and good food! thx for the giveaway!